We have seen much action in the 2012 housing market , some of it surprising and some not unexpected. However, the main trend that I have noted since 2010 remains true and I believe will stay true going into 2013. That trend is we simply don’t have enough qualified home buyers ( excluding cash buyers) in the US to justify or cause any thinking we are entering into a long-term housing boom for primary resident home buyers. The biggest impact for 2012 was the absolute collapse of for sale housing inventory in the US, which fell over 20% year over year. A fall was in the cards but a drop of over 20% surprised even me. What caused this dramatic fall in inventory? There were a number of factors. With the foreclosure process still taking a long time, and especially after the Robo signing settlement was finally resolved, many homes never came to the market. Also, loan modifications and short sales made an even bigger impact than foreclosures after the settlement. Another contributing factor to the low inventory was the millions of underwater home owners who would like to sell but couldn’t. The organic home seller wasn’t in the market and most likely won’t come back in 2013 either. Housing starts from 2008-2011 were at the lowest levels since the creation of starts as far back as 1959. So we weren’t building homes in the past few years and a good portion of the homes we were building was intended for the rental market. Also, mortgage rates fell dramatically in 2012, helping those who qualify for a refinance to take advantage of historically low rates. However, mortgage purchase applications were truly the walking dead in 2012. So, though affordability was at epic levels, first time home buyers were soft while cash buyers continued to pick up what they considered deals. Cash buyers were roughly 30% of the market in 2012 and the first time home buyer was roughly 10-11% below normal historical levels. So, what do I expect to see in 2013? 1. Home Prices will rise 2-5%. As long as the inventory of homes stays very low, home prices will rise. Home prices rising due to the clumsy housing inventory market isn’t long-term bullish because at some point this century mortgage rates will rise and Americans will be hitting their DTI limits faster. This will also take away more disposable income from the economy. We shouldn’t see another 20% drop in inventory, however inventory won’t be strong. There is a myth that millions of homeowners that were underwater this year are now positive and will be looking to sell. This will not occur in big numbers because homeowners who were in the 100 -110 LTV range whose homes appreciated 5-10% still wouldn’t have enough equity to sell their home, pay their real estate agent and have anything left over for another home. Most likely we need 2 more years of 5-10% appreciation to get them off the sideline. Those who have 80-95 LTV could be in the pipeline to sell their home in 2013. So, don’t look for millions of organic sellers to come into the market in 2013. 2. Housing Starts will continue to rise. We have never seen such a dramatic drop in housing starts as we did in 2008-2011. So the rise in 2012 should come as no surprise. Starts should continue to grow and benefit the economy. However, a strong primary resident rebound in starts most likely won’t happen. The big players in housing aren’t sold on the concept that Americans can buy homes and multi family expansion will still stay with us in 2013. We have a long way to go to get housing starts back to historical normal levels. However, housing should be a bigger contributor to GDP in 2013. 3. Rent trend will continue. As more and more Americans short sell their home in 2013 the rise of new renters will give the rental market demand. First time home buyers have been soft in the housing market and with FHA making things more expensive this trend will continue. Mortgage purchase applications have been the true walking dead since mid 2010. However, because the bar is set so low, for the first time in years we might see a minor upswing in mortgage purchase applications. However, considering how low mortgages are the slight rise still shows that many Americans don’t have the financial capacity to buy. 4. Mortgage Rates will stay below 4.25%. With the economy growing at best in the 2-3% range mortgages rates should stay in a range of 3.25%-4.25%. As always, the fed will do it’s best to inflate housing by keeping rates low. However, the low rates have been more helpful for the serial refinances and HARP 2 refinances than for the housing purchase market as refinances were the bulks of all loans originated in 2012. Don’t be surprised if HARP 3.0 is announced in 2013 as President Obama will abandoned his dream of going through broke FHA for this and give the refinance program to Freddie and Fannie for underwater private backed loans. 5. Finally, don’t expect any help from Freddie, Fannie, FHA and banks to ease lending standards. I have long had this belief that lending standards aren’t too strict. True enough, the paper work is near blood sample FBI investigation levels. However, if you have the financial goods you can get a home as long as your appraisals comes in line with your offer price. There were rumors that the banks will ease up on lending standards with a rising market. I don’t see that happening and as long as the put back wars continue expect banks to lend with the concept that they are getting ready to be sued. So to be dead honest, we shouldn’t see too many fire works in housing. Inventory won’t come back to bring in a new supply of homes. A lack of income and assets will keep the first time home buyer and move up buyers at bay. Housing starts will help boost the economy but not as much as in previous cycles. Once the fiscal bluff is over the debt relief act will be extended and we could have a big year in short sales taking the place of foreclosures. There will be a constant cry for lending standards to ease but that won’t happen in any strong fashion. 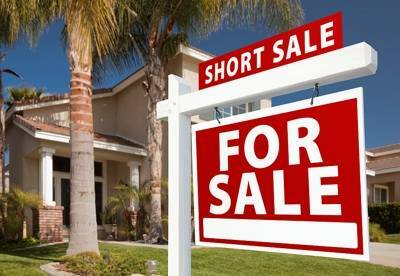 People who will foreclose or short sale their home will rent and soak up some of that rental supply. On a final note, until we get real strong job growth with incomes rising, Americans DTI will keep a lid on a real strong housing expansion by organic buyers. Posted in Uncategorized and tagged 2013 Housing Predictions, Economy, Fannie Mae, FED, FHA, Freddie Mac, HARP 3.0, Home Prices, Mortgage Rates. Bookmark the permalink. As a builder who lost his behind in ’08, I recently have been qualified for GSE type home loans. It seems that no matter the amount I put down on these loans, I will need Mtg Insurance regardless. I have 2 or 3 more years before I am able to go with conventional loans. As much as I am concerned over the horrendous Mtg Insurance premium, I might pull the trigger just to beat rent and maybe get a great deal on a short sale. The economy in general is still a big headwind that makes me reconsider my gunshy foolishness about getting back into a home of my own. I just don’t want to be left holding the bag AGAIN!, especially if the economy takes another leg down. Your posts help reassure me that despite all of the polly-anna talk I am hearing about housing currently, there are still some concerns to consider. Astute stuff. I am for lending standards to remain where they are. The standards were not so much the problem is recent years as the lack of consumer confidence. With the return of some consumer belief, we’ll see stability.